Just in time for the Lenten season in March, a Freedom of Information training session for select City Council members. Perhaps a few lawyers if they so choose to repent? The state Freedom of Information Commission ruled in November that city lawyers directed an illegal executive session of the City Council’s Budget and Appropriations Committee whose members have been ordered to a training session on the provisions of the Freedom of Information Act following a May 2018 meeting that was challenged by retired Superior Court Judge Carmen Lopez after the public was shut out. City lawyers are “strongly urged to attend” the training session, according to the decision. Will they? The date for the training session, according to a “speaking engagement” calendar posted on the FOI website is “March 11, 5 pm, City Hall.” It lists the organization as “Corporation Council” aka City Attorney’s Office. The session will be conducted by Thomas Hennick, public education officer for the state FOI. Hennick says the training session is open to the public. Hennick adds that the specific venue, be it City Hall on Lyon Terrace or the City Attorney’s office on Broad Street will be set at some future date by the city. The observance of Lent begins several days prior but this date falls on Eastern Orthodox Lent. Hmmm, what could city officials sacrifice during this 40-day period? By way of background Lopez filed a complaint in May charging that a vote by the budget committee citing “pending litigation” for the basis of an executive session violated state law. Lopez asserted that the violations were at the direction of lawyers with the City Attorney’s Office. 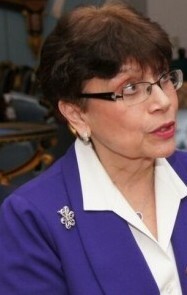 A state hearing officer agreed ordering the city to “create minutes of the executive session … to include a detailed account of the discussions that took place, including the names of the cases discussed, and further, shall forthwith file such minutes with the town clerk and provide a copy, free of charge,” to Lopez. On May 2, according to the decision, budget committee members moved to go into executive session as the first order of business, including members Jeanette Herron, Denese Taylor-Moye and Christina Smith. Council President Aidee Nieves and council member Ernie Newton, who is not a member of the budget committee, also attended. Associate City Attorney Mark Anastasi was joined by five other municipal lawyers. Council Member Herron: Okay, everybody out. Council President Nieves: Make a motion. Council Member Taylor-Moye–please leave, I need a motion. Atty Anastasi: [inaudible] to discuss major pending litigation. Council member Smith: I make a motion to go into Executive Session for whatever he said. Council Member Taylor-Moye: All in favor? Lopez attended the early part of the meeting and had publicly challenged the veracity of an executive session. School board member Maria Pereira who joined in a complaint was also in attendance and stayed for the duration of the meeting that reconvened after executive session. Following issuance of their complaints, Lopez and Pereira attended a hearing before Tracie Brown, an FOI lawyer. Attorney Michael Jankosvky represented the City Council. Anastasi attended as a witness for the city. Such a rare occurrence in Bridgeport, it just might be termed a ‘miracle’? A training session of, for, and by experts on the subject of “executive sessions”, announcing them, etc. Oversight from outside the community was sought on the matter by Judge Lopez and pursued by she and Ms. Pereira and the seeking brought about a meeting. Perhaps a video might be produced (maybe it could be another product for OIB to market)? I can think of other subject matter for training sessions that would be of interest to governance watchers and taxpayers. How about you? Time will tell. I want to attend if possible. I hope I can take photos, too! ALL CITY COUNCIL PEOPLE should attend an FOI course if one is coming up. Honestly,The City Attorney’s Office is under the finger of Ganim and his pet,R. Christopher Meyer,that I doubt anyone from the City Attorneys Office will attend. THe City Council should have its own attorney of record. The City Attorney’s office has been representing the interests of Mario Testa for too damn long. I believe that the city council in recent years has become overly casual in its operations. Like most organizations, a minority of them do the majority of the work. It is scary to see the important role of the city council being done by people who lack knowledge and critical thinking skills. As a result, in my opinion, the city attorney’s office treats city council members like dim-wits and has lowered their expectations of the body. Sadly, they have lowered their standards to that of the city council rather than expecting the city council to comply with requirements of the city charter and code of ordinances and, in this case, basic parliamentary procedures and the Freedom of Information Act. There was a time when the news media kept council members on their toes. Now it just compiles comments by council members and packages them in a story. Fortunately for Bridgeport residents and council members, Judge Lopez has shared her skills. Those who may be offended should remember that they should be mindful of the inadequacies Judge Lopez has exposed and make an effort to address them. I agree with Tom White on this issue/commentary.